A reputed legal analyst from Sports Illustrated and a University of New Hampshire law professor have both reported that they are confident O.J. Simpson will soon see the light of day, projecting that he will be released from prison come summer time. "He's the kind of person who gets paroled. He has done a significant amount of time and, by all accounts, hasn't caused any problems [while in prison]," says Vegas criminal defense attorney Daniel Hill, who agrees with assessments made by SI's Michael McCann and U of NH professor Jon Wertheim. 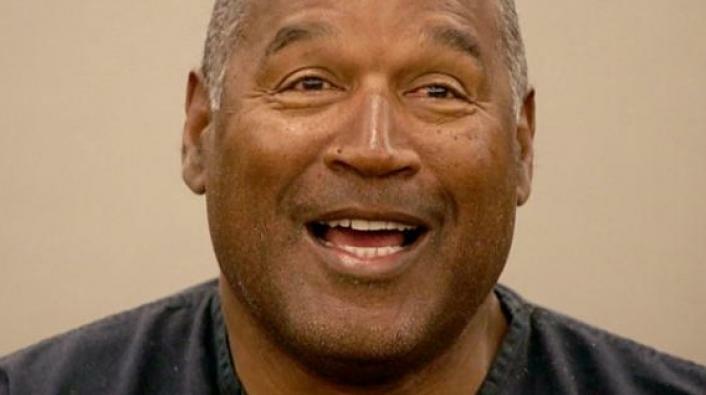 Simpson, 70, has been serving time at Nevada's Lovelock Correctional Center since 2008, when he was convicted of a burglary which involved him attempting to take some of his playing days memorabilia from the Palace Station Hotel-Casino the year prior. The Hall of Fame NFL running back would be found guilty on 12 counts of charges ranging from conspiracy, to burglary and robbery, to kidnapping and assault with a deadly weapon. The crime would land him a 33 year sentence. Should Simpson earn an early release, he'd no doubt have to comply with a set of conditions that includes regular meetings with a parole officer, regular searches of his home and vehicles, and the need to acquire permission to leave his home state. Simpson's release is dependent upon him proving that he would be a low-risk threat to society. Such a determination is made following a comprehensive review which weighs his performance in 11 concrete areas, including disciplinary write-ups, history of drug or alcohol abuse, and prior probation or parole revocation.